Welcome to our Influencer Discovery! Effective influencer marketing starts with identifying relevant influencers for your brand. 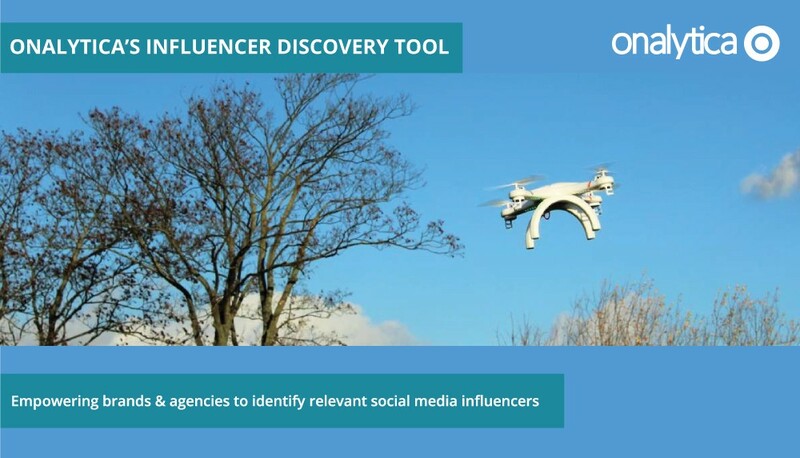 Onalytica’s new Discovery platform mines over 200 billion posts a year into a curated database of over 500K global social media influencers, including data from Twitter, Blogs, Instagram, YouTube, Facebook, LinkedIn Profile Links + Demographic Data. These influencers are then ranked by Reach, Resonance, Relevance and Reference. If you are looking to identify influencers who specifically talk about a particular subject or brand – use our Boolean search to find exact matches. If you are looking for a quick start – pick one of our hand picked lists of influencers, ranging from animation to zoologists. If you are looking for a particular group of people, e.g. female accountants under 30 – use our unique demographic selector to find your influencers by anything from age to role. If you want to find influencers who recently used similar language as your content – upload a piece of content, a white paper, announcement or website into our content matching tool. 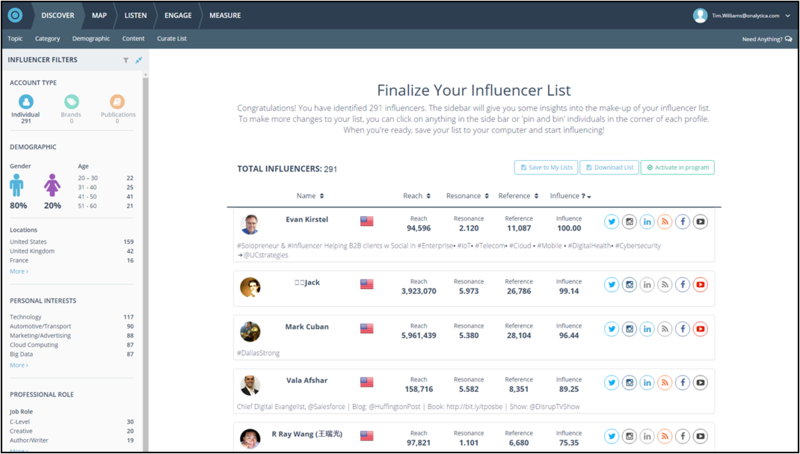 Our software enables you to identify influencers by topic, demographic or content and includes real-time tracking and measurement reporting to scale your influencer relations. When you’re ready, just curate your custom list and find out all about your new influencer network! Discover Your Social Media Influencers Today!